Welcome to Loon Images and More - where you can view the wildlife and scenic images of Joe Woody. I hope that you will enjoy these photos so much that you will bookmark this site and perhaps order a photo or two for your home, office, or cabin or for that special friend who loves nature as much as you. Pictures are a great way to dress up your favorite space and also to express your special interests! 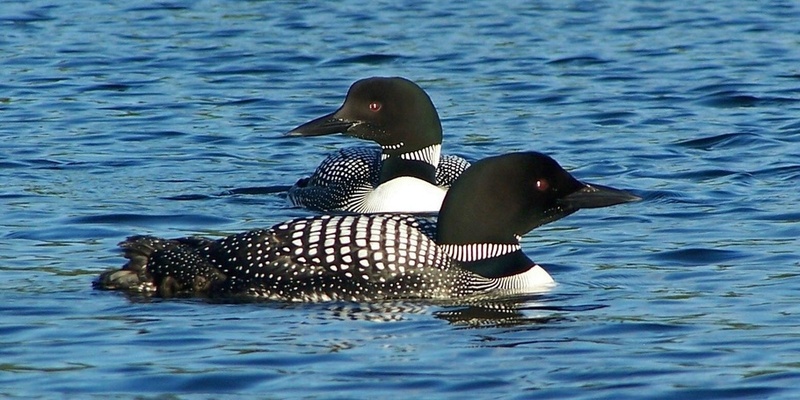 Loon pictures are loved by many because the common loon is such a beautiful and memorable creature. Loons are my first love as a subject for wildlife photography. But other birds ranging from eagles and osprey and turkeys all the way down (in size) to warblers and finches catch my eye and create photographic challenges for me to pursue. Birds with striking color like the Cardinal, Eastern Bluebird and Indigo Bunting are a joy to photograph. Birds with less brilliance, like the Cedar Waxwing and Carolina Wren and some of the warblers can only be fully appreciated when seen close-up so I try to present those subtle color variations in my photos. But while I'm occasionally called "Birdman", my wildlife and nature interests extend to many four-legged creatures, especially bears, deer, foxes and coyotes. Scenic or landscape photography has begun to capture my imagination as well and I plan to add more landscape photos both from the Adirondacks and also from national parks in the US and Canada. So, while loon photographs will remain a staple in my portfolio, I do want to range far beyond loon photography to include a wide variety of wildlife and scenic photos.